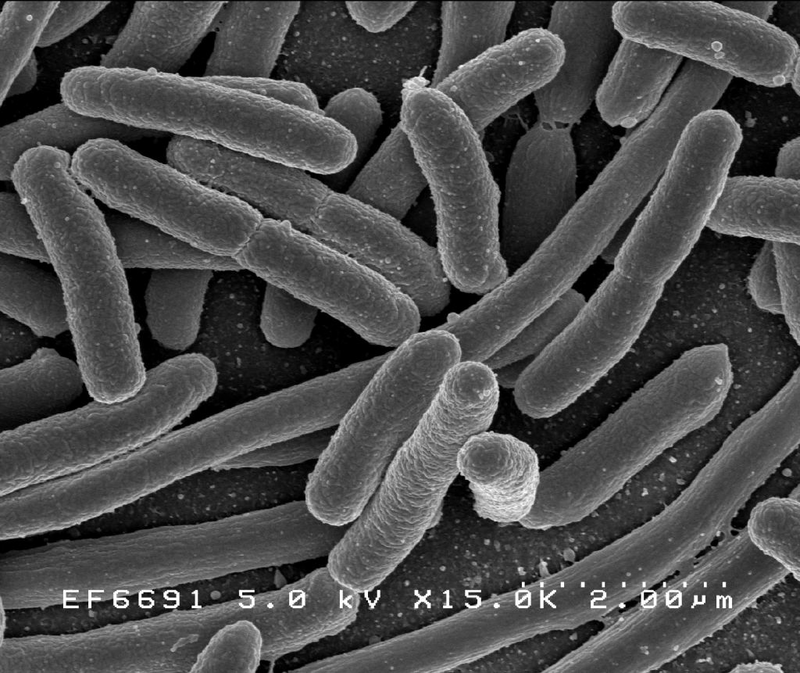 Scanning electron micrograph of Escherichia coli, grown in culture and adhered to a cover slip. 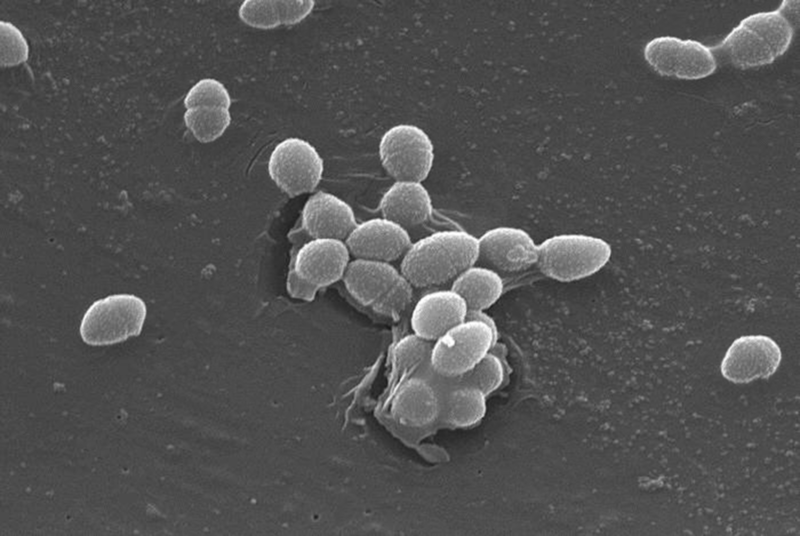 (A) Electron micrograph of Halothiobacillus neapolitanus cells, arrows highlight carboxysomes. 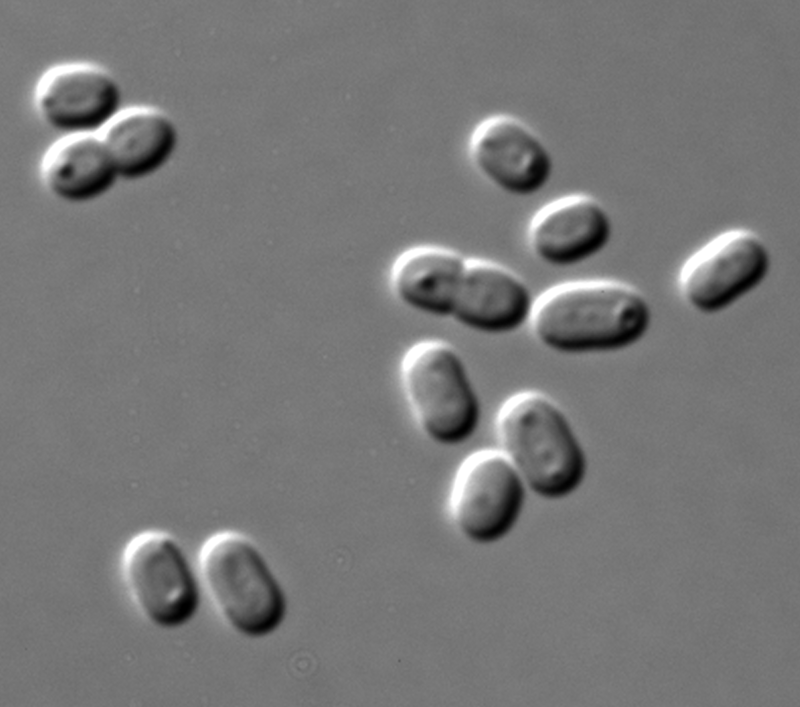 (B) Image of intact carboxysomes isolated from H. neapolitanus. Scale bars indicate 100 nm. 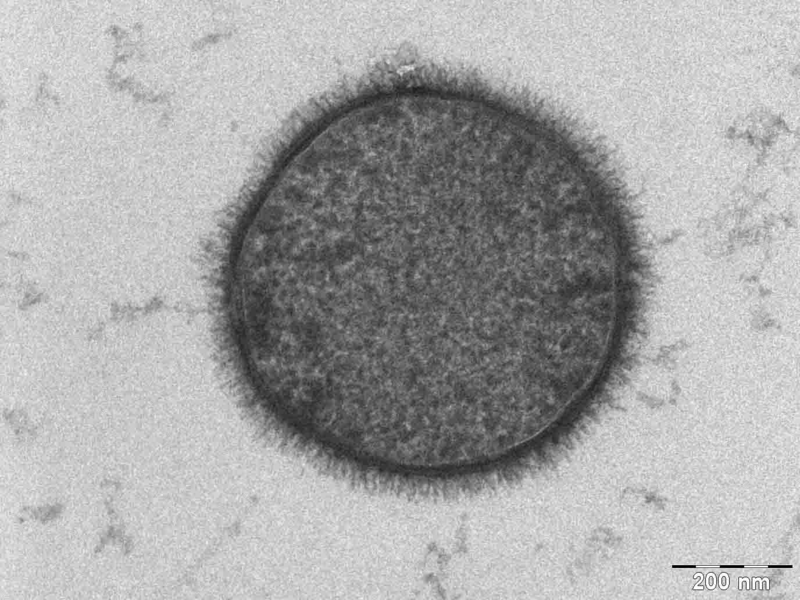 The Bacterium Bacillus subtilis taken with a Tecnai T-12 TEM. Taken by Allon Weiner, The Weizmann Institute of Science, Rehovot, Israel. 2006. 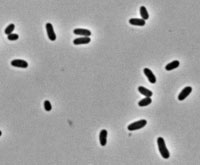 Synechococcus PCC 7002 in DIC microscopy. Imaging was performed with the Olympus BX61 microscope and a UPlanSApo 100× NA 1.40 oil immersion objective (Olympus). Pictures were acquired at room temperature in water with a camera (SPOT; Diagnostic Instruments, Inc.) using MetaMorph software (MDS Analytical Technologies). 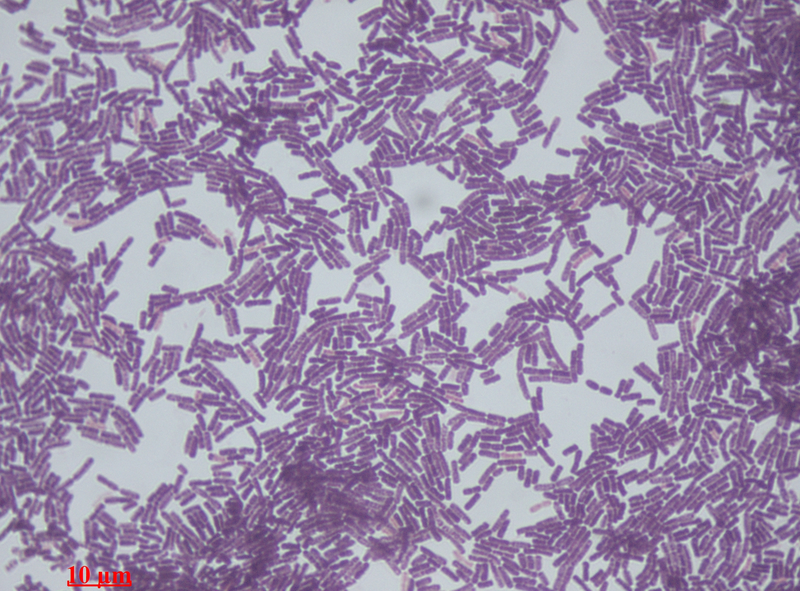 Microscopic image of Bacillus subtilis (ATCC 6633). 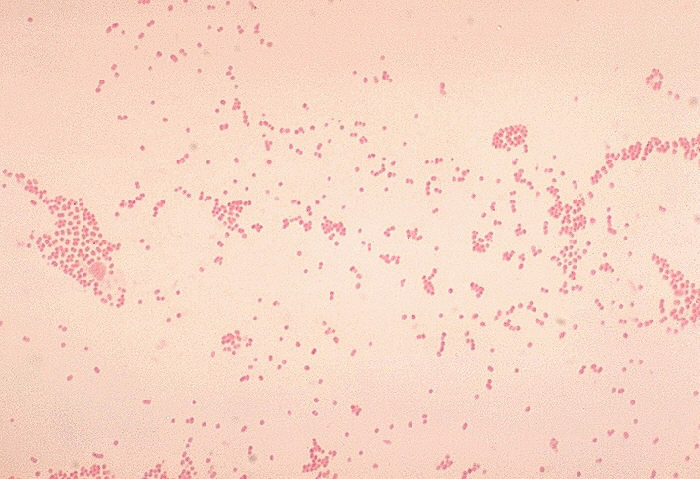 Gram staining, magnification:1,000. The oval unstained structures are spores.